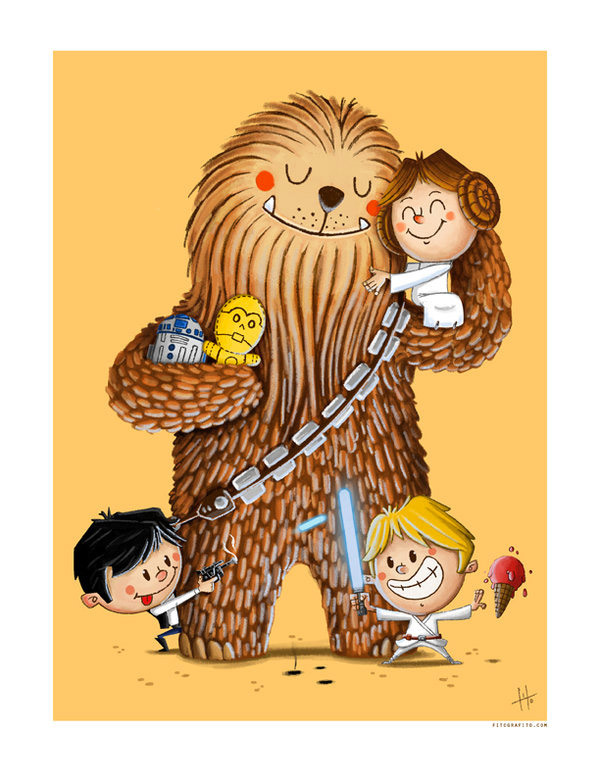 Kids illustrator and graphic designer Rodolfo Velado (aka “Fitografito“) created this wonderful series of three images as a tribute to Star Wars. 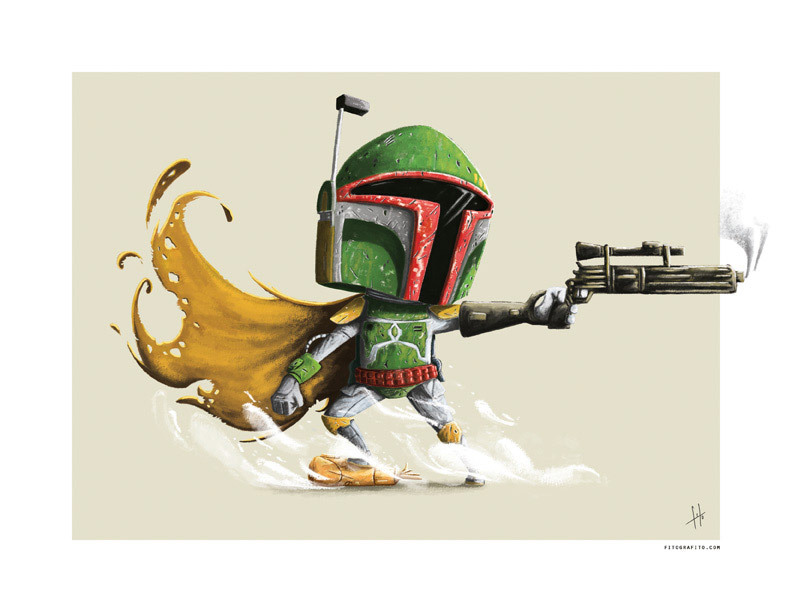 That Boba Fett image is awesome and we’d totally buy it on a t-shirt. 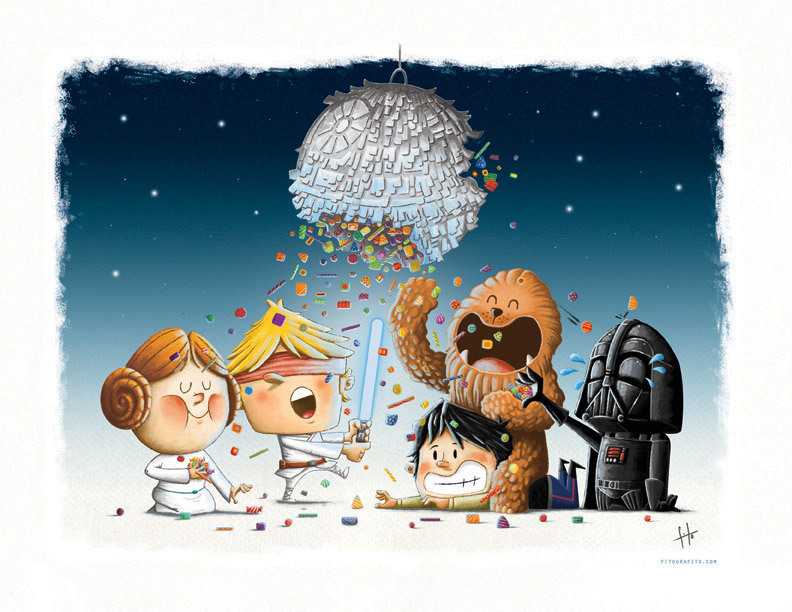 And check out Darth Vader’s reaction when Luke busts open the Death Star piñata.